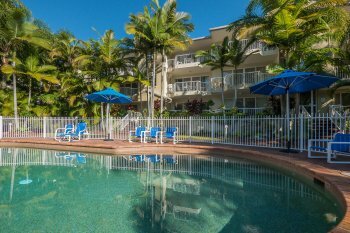 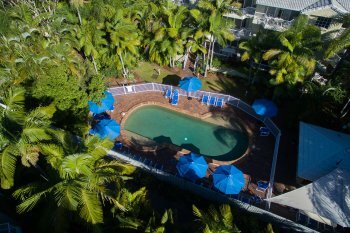 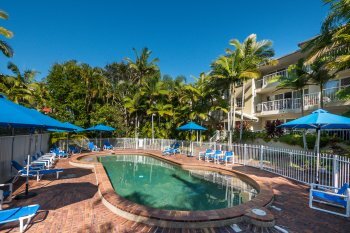 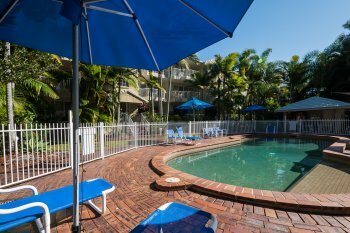 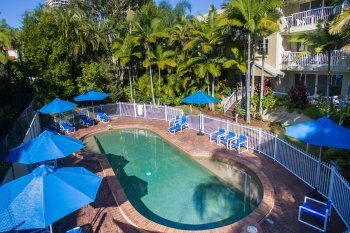 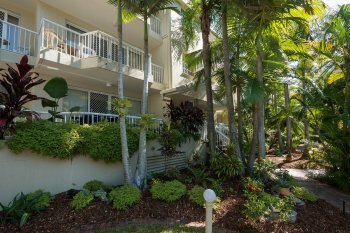 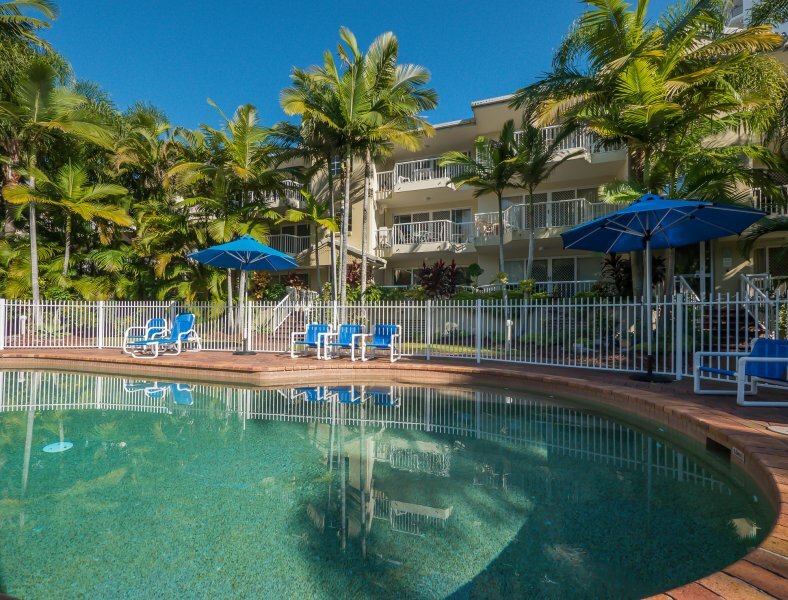 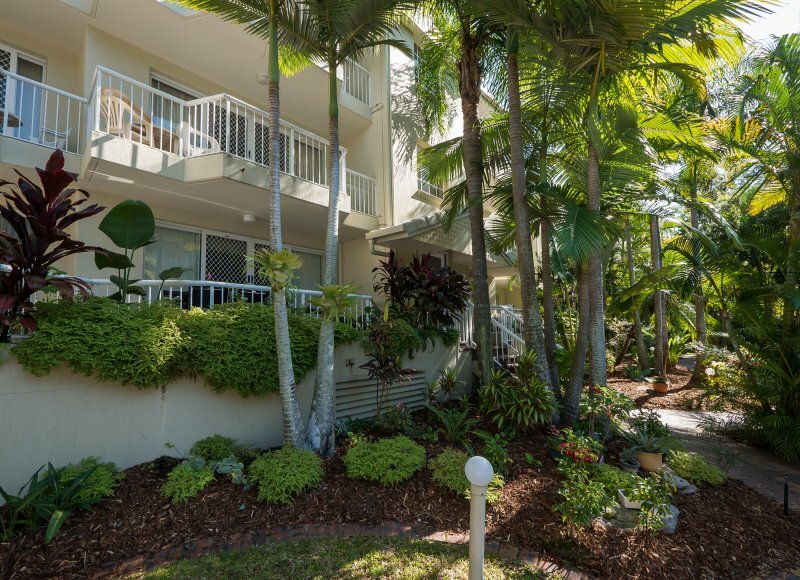 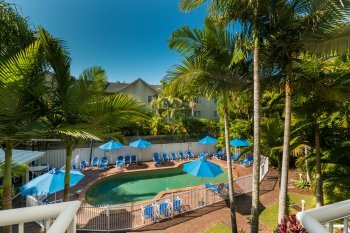 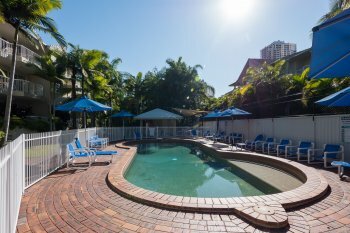 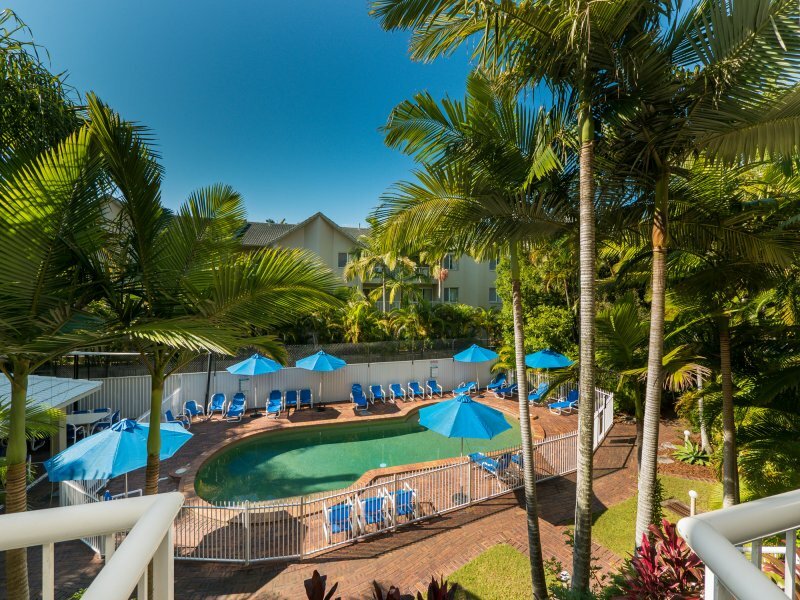 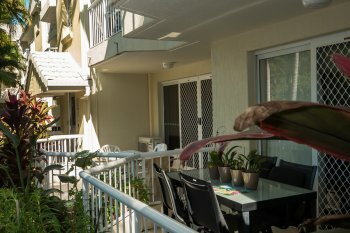 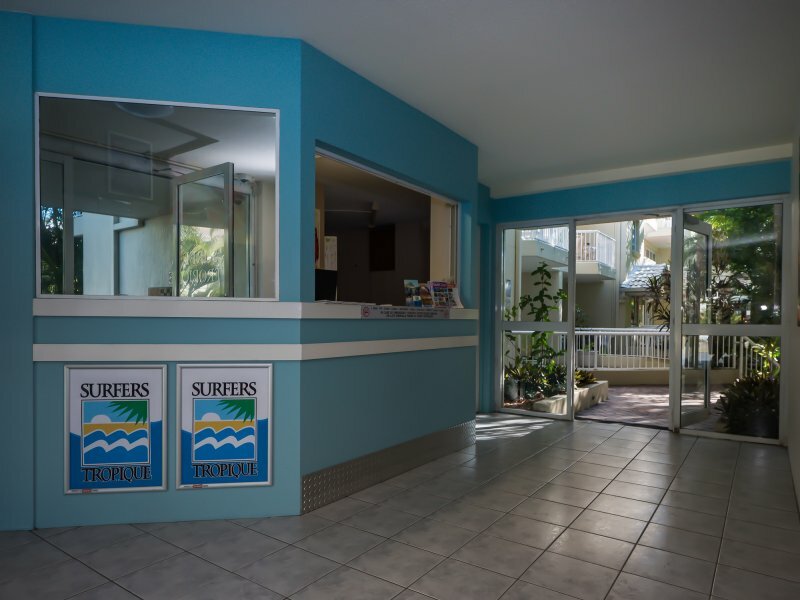 The facilities at Surfers Tropique low-rise apartments Broadbeach have been designed with a great holiday in mind. 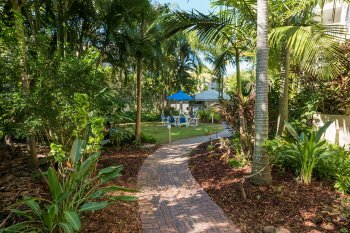 Surrounded by lush tropical gardens, our conjoined swimming pool and spa are sure to become your favourite place to unwind during your stay. 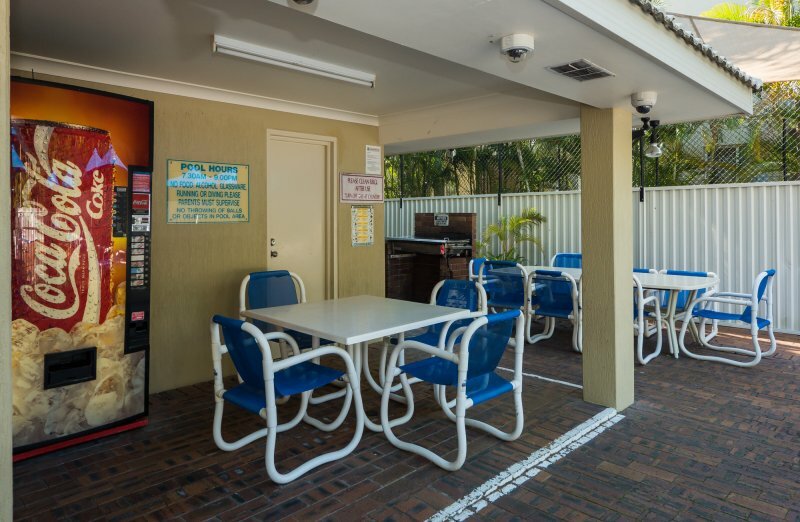 After a busy day exploring the hinterland, kick back with a few cool beers and a barbecue meal. 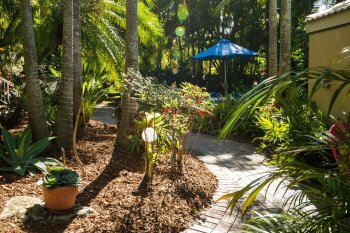 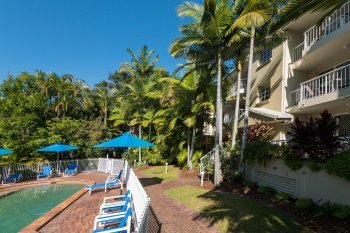 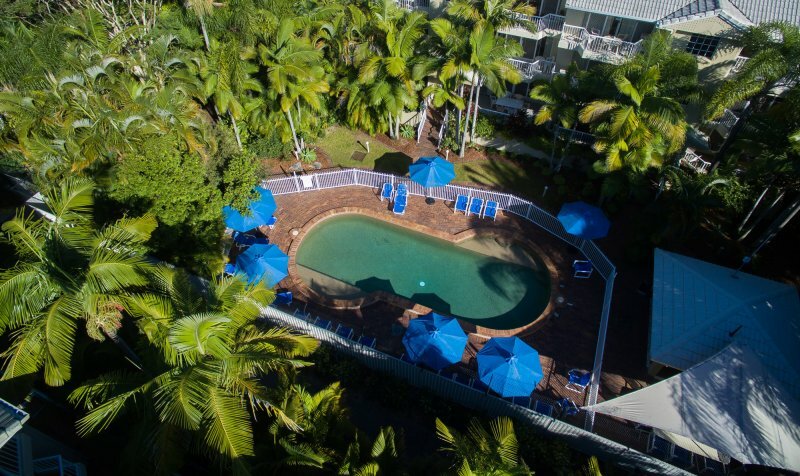 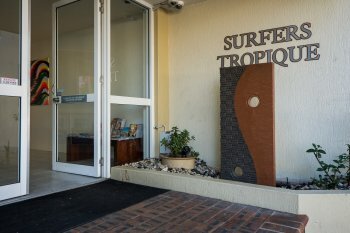 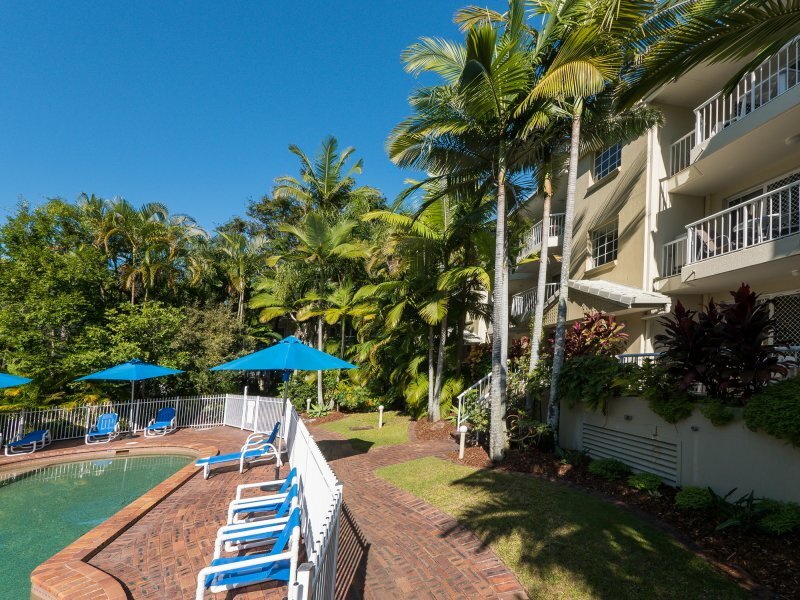 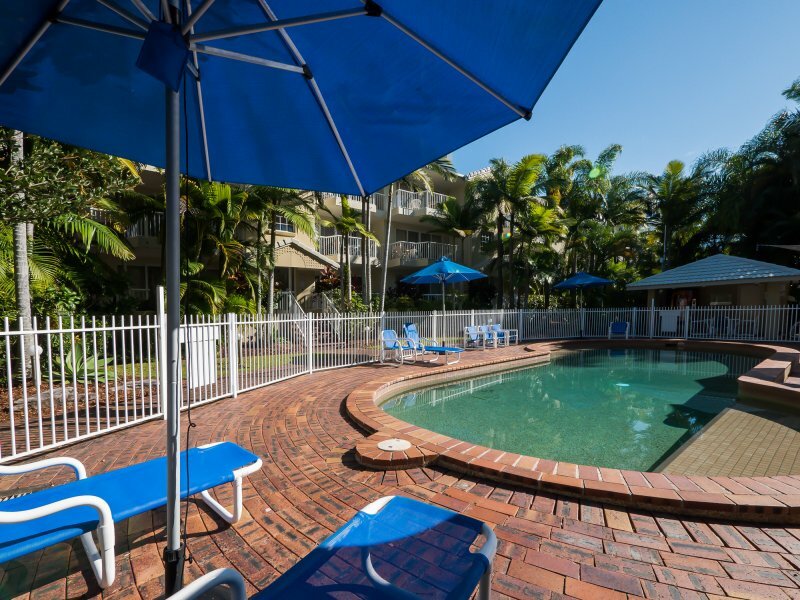 From the Gold Coast’s best theme parks, to the national parks of the Sunshine Coast and the beautiful beaches of Byron Bay, drop by the resort tour desk for friendly local advice, tour and show bookings, and much more. 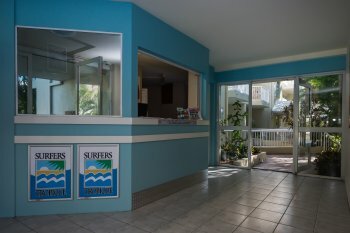 Arriving late? 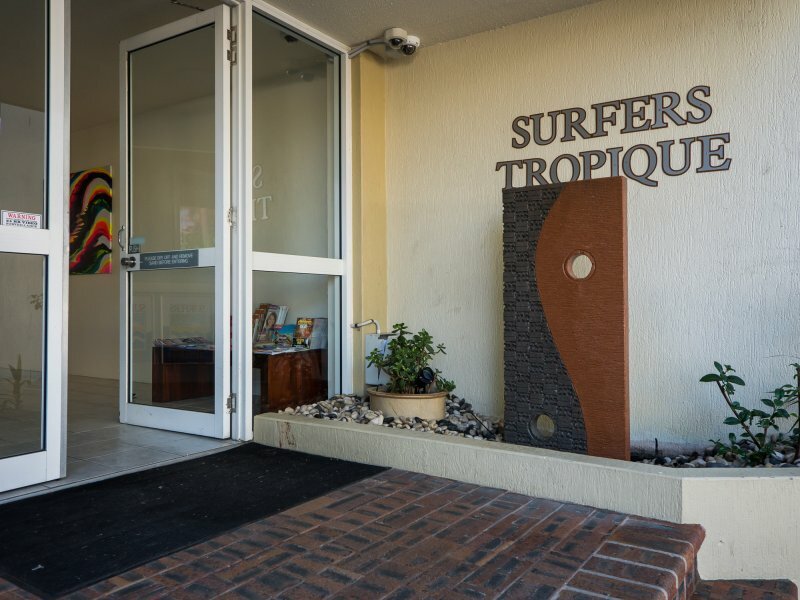 There’s always someone on hand to welcome you. 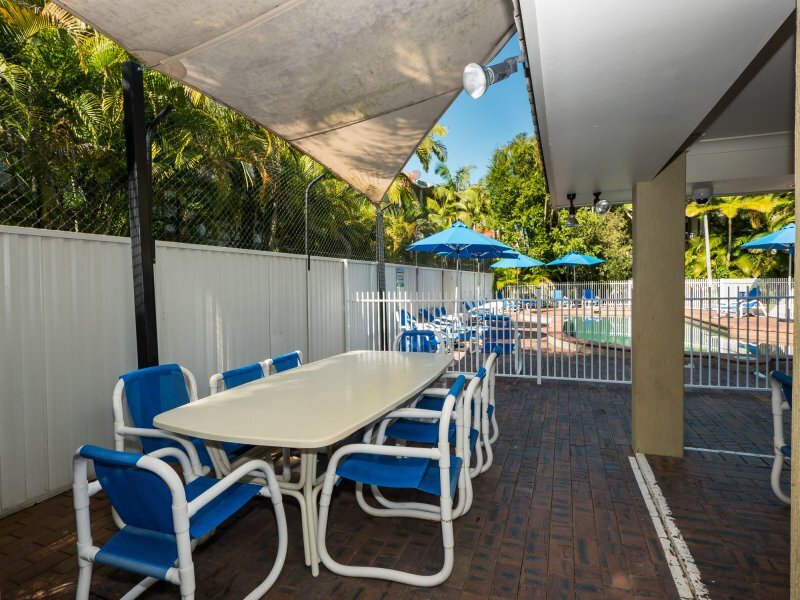 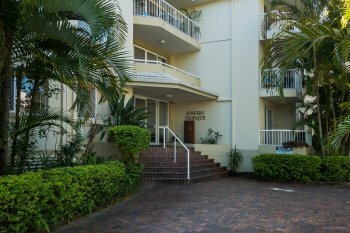 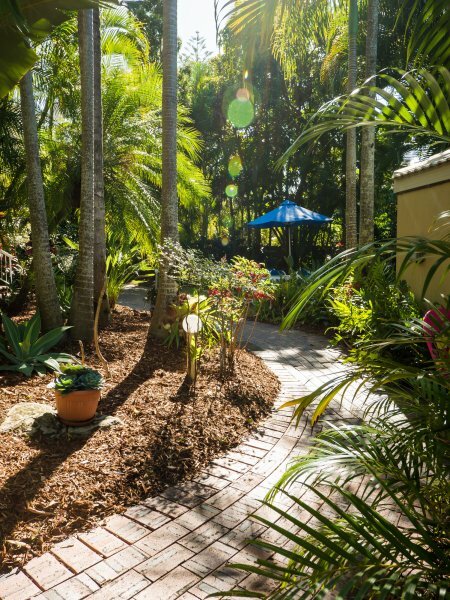 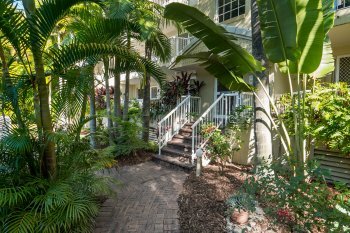 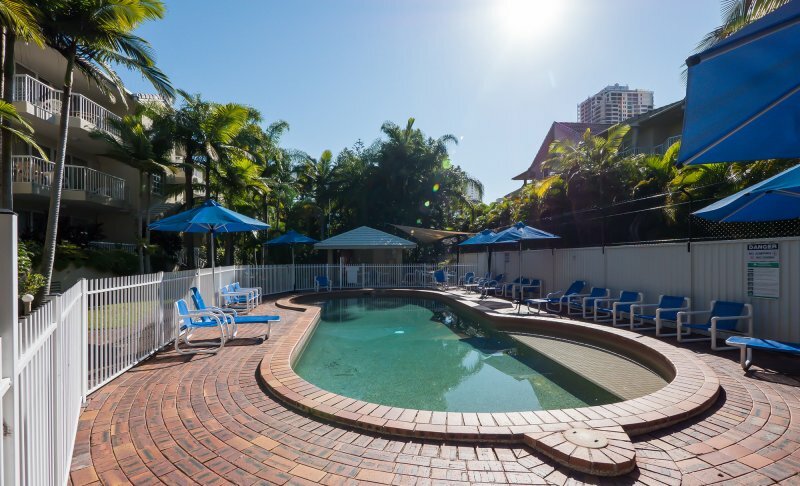 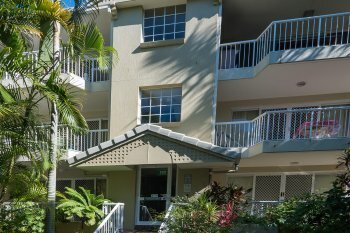 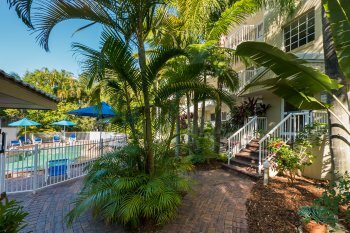 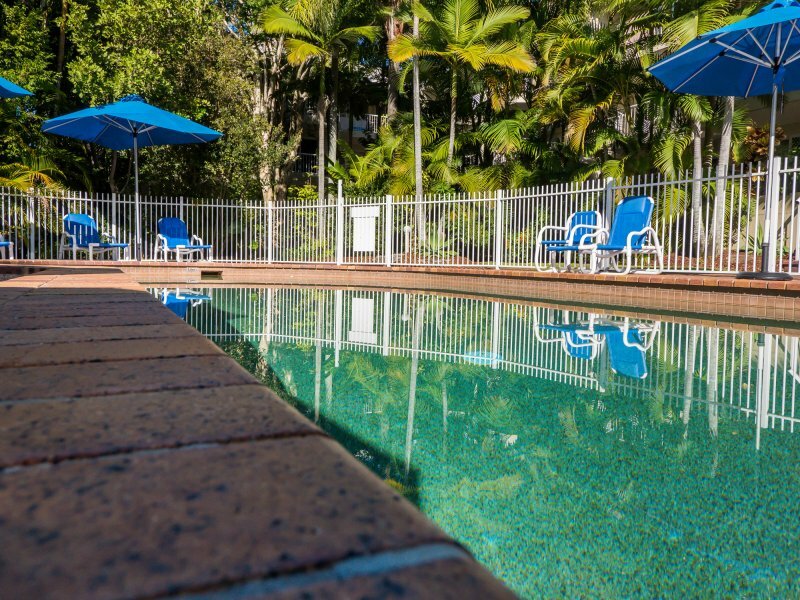 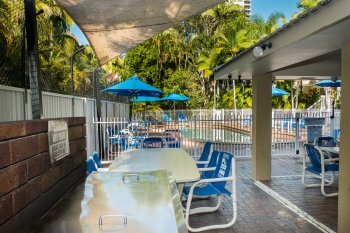 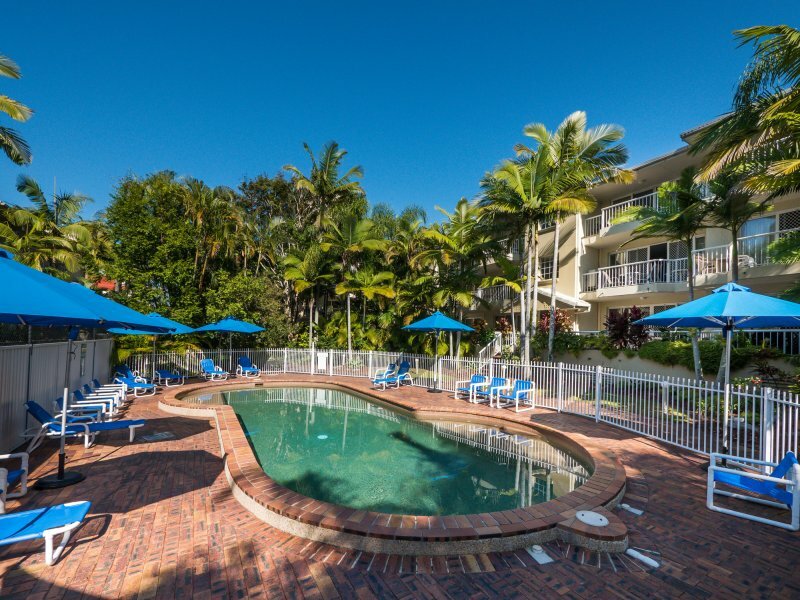 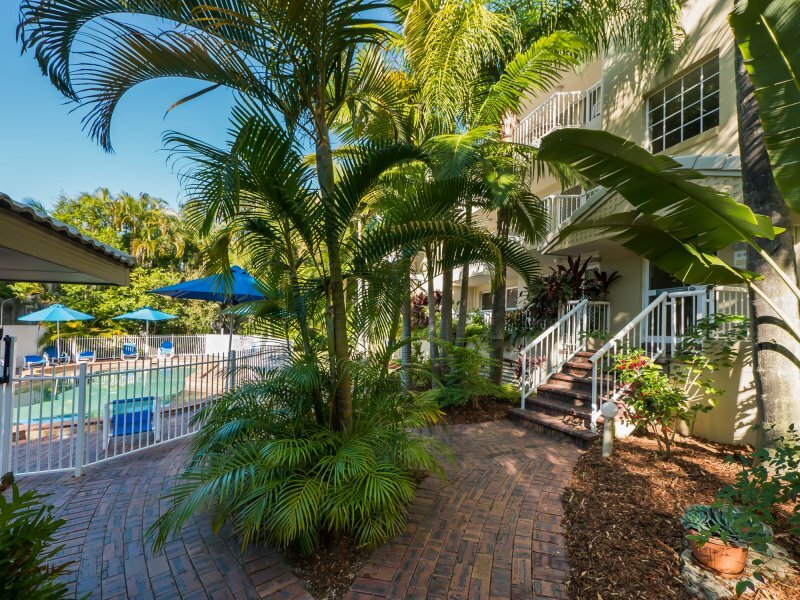 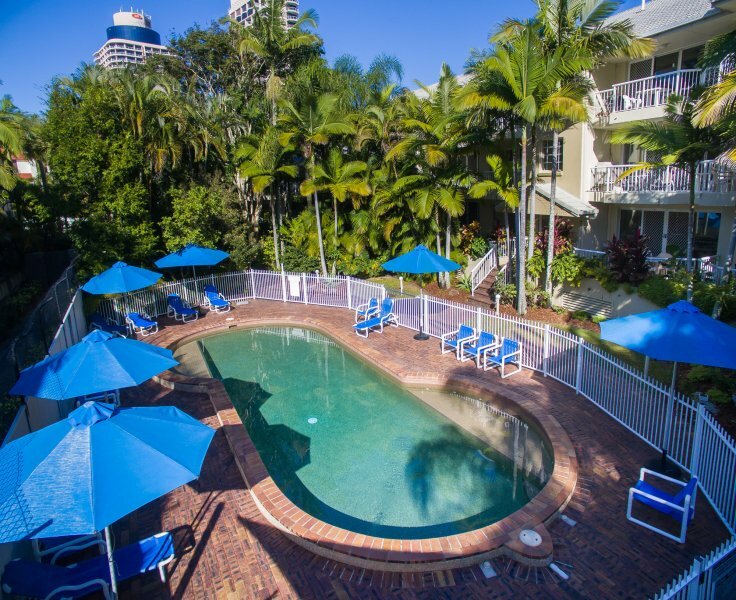 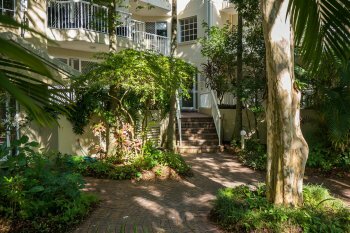 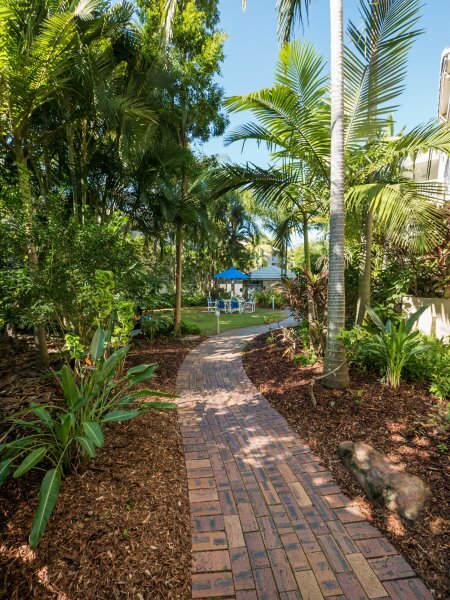 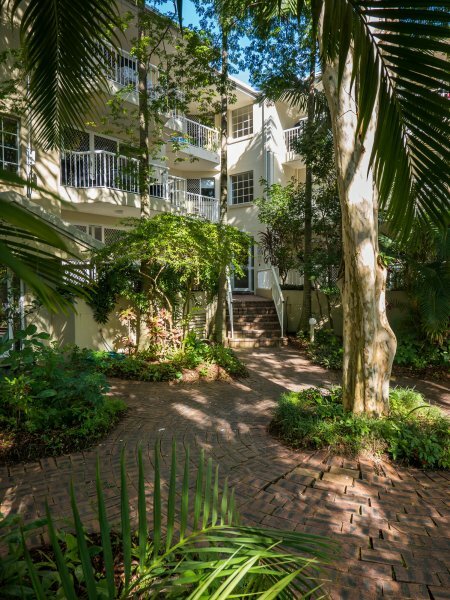 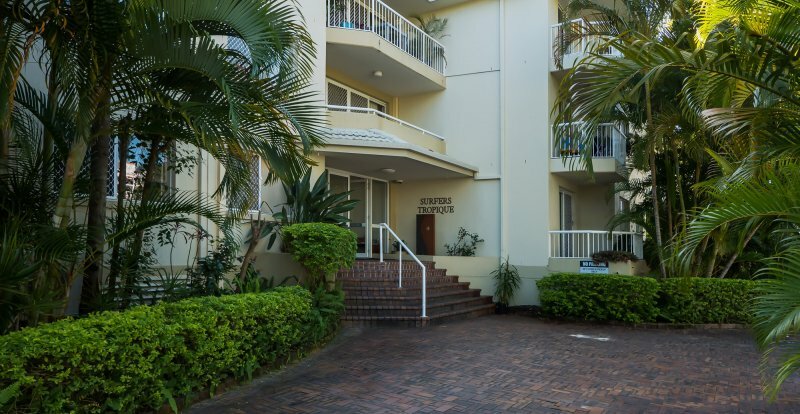 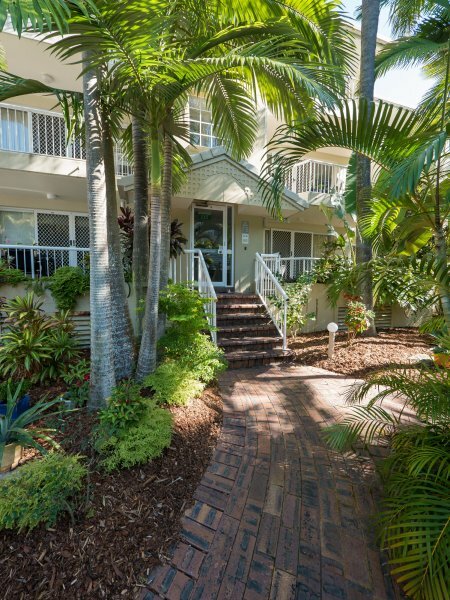 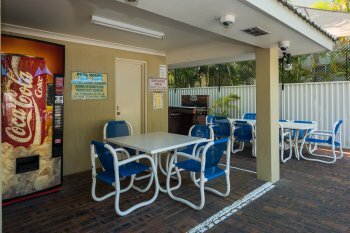 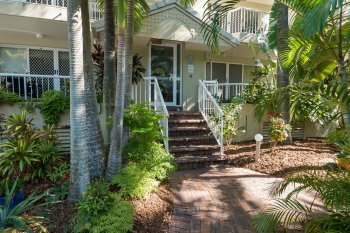 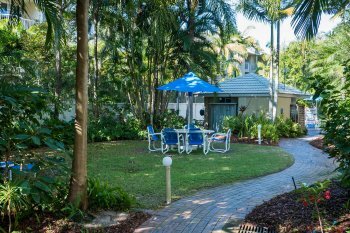 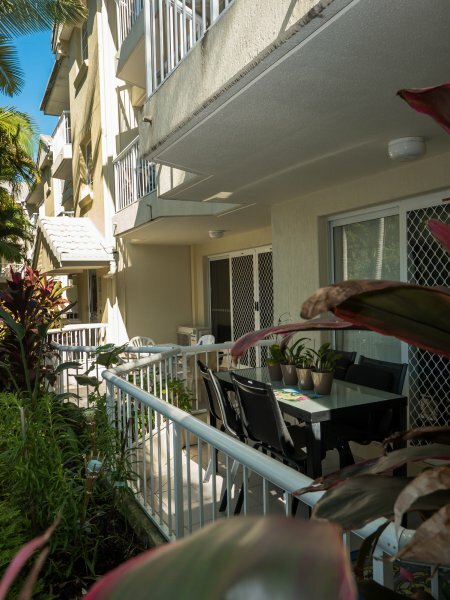 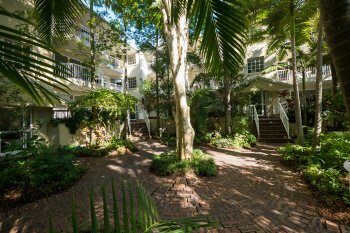 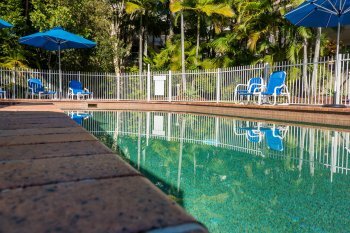 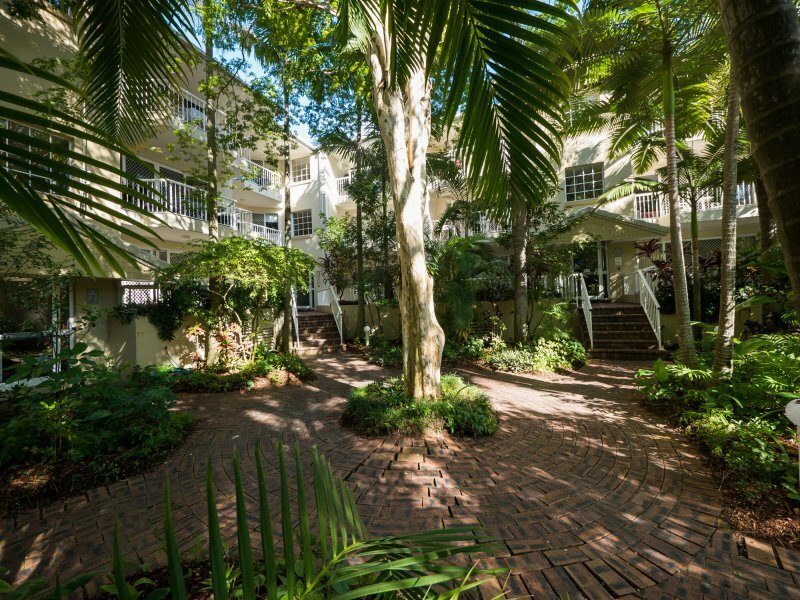 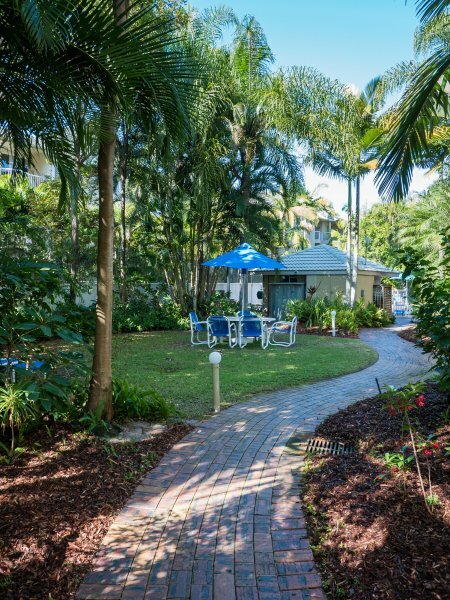 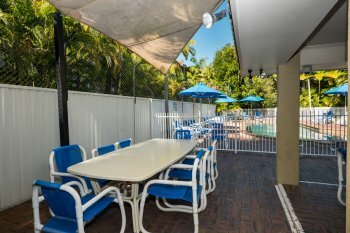 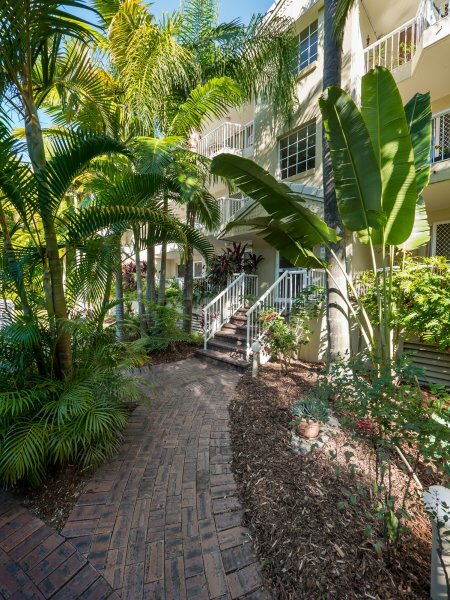 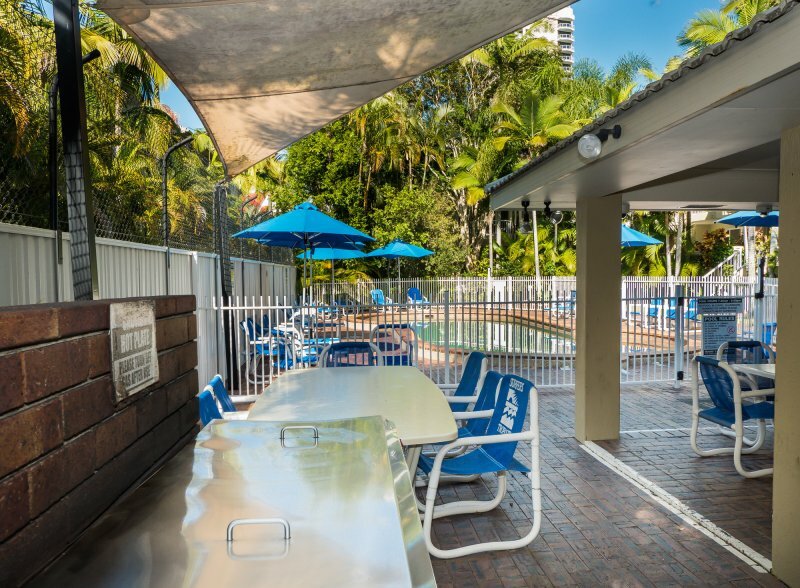 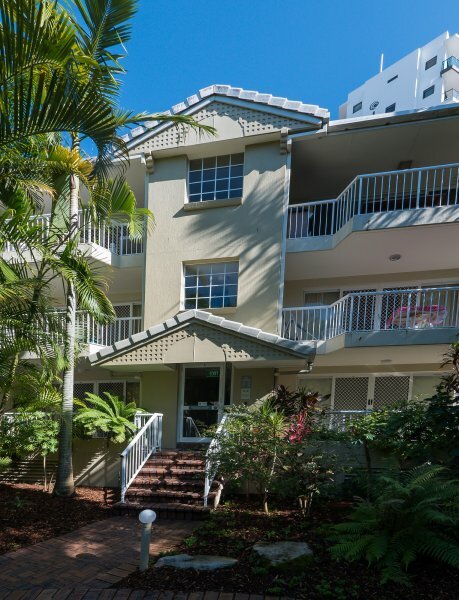 There is secure, free underground parking for guests at our family accommodation in Broadbeach.